Video archive contributions reflect professional presentations delivered at conferences which were thought to be of a caliber that warranted continued access to future audiences. 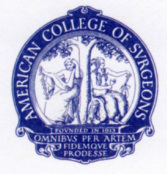 Professional society presentations included in this section cover conferences, grand rounds, training courses and other educational formats featuring Dr. Pelosi III. Miscellaneous communications is Dr. Pelosi III's term for everything else that has appeared in print generated from interviews with reporters or commentary with other specialists in response to material presented by Dr. Pelosi III in professional publications or at professional society meetings.